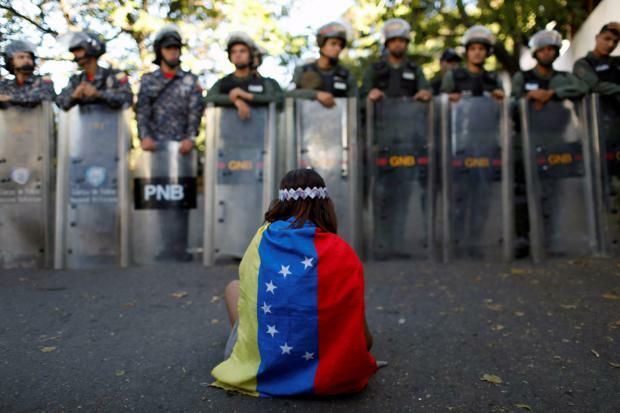 US wars of aggression, color revolutions, and coups like what's ongoing against Venezuela wouldn't get out of the starting gate without major media acting as press agents for Washington's imperial plots. They serve as a collective mouthpiece for power, ignoring rule of law principles, complicit in the state's high crimes for supporting them - along with abandoning what journalism is supposed to be all about. The latest NYT anti-Venezuela propaganda piece turned truth on its head, claiming "Maduro use(s) Cuban doctors to coerce Venezuelan voters." "…Maduro and his supporters…dangl(e) food before hungry voters, promising extra subsidies if he won." The Big Lie continued. The self-styled newspaper of record found a new way to disgrace itself - besides calling Guaido Venezuela's "rightful president." Elected by no one doesn't matter. The Times manufactured fake news about Cuban doctors, providing a vital service to all Venezuelans in need free of charge, operating the same way in other countries where they're sent. The neocon/CIA house organ Washington Post called social democrat Maduro "authoritarian," falsely accusing him of using thuggish "motorcycle gangs (as) enforcers." WaPo: "…Maduro is increasingly relying on paramilitary groups as he clings to power." No one restricted Guaido encouraging crowds to resist Bolivarian governance, even though his actions amount to sedition or treason against the state and its people - a high crime gone unpunished so far. WaPo: Under Hugo Chavez, "small armed groups grew (in numbers)…permitted to control neighborhoods and run criminal rackets such as drug trafficking and extortion, analysts say (sic)." So-called unnamed "analysts" are anti-Bolivarian imperial supporters - or maybe nobody, WaPo inventing the fake news story. Its claims are bald-faced Big Lies. So are the Wall Street Journal's, falsely saying "(f)ires in Venezuela's El Guri" hydroelectric plant "could have triggered" days of blackout - ignoring the US cyberattack on the country's power grid, responsible for what happened. In manufacturing its Big Lie, the Journal cited unnamed "experts and researchers" - turning truth on its head claiming, according to the Journal, that their "analysis (is) the (most) plausible explanation yet for what sparked the blackout on March 7." After about 70% of power was restored within 24 hours of the March 7 sabotage, two more cyberattacks occurred, knocking it out again in most parts of the country - things further complicated after a Bolivar state substation transformer exploded and burned, sabotage likely causing what happened.